Over time, hair fibres can become dull due to a build-up of impurities and the hair cuticle becoming rough, which can disrupt light reflection. Today, a professional gloss technique is used to remove impurities from hair fibres, and coat them with a glossing polish for long-lasting, weightless luminosity. 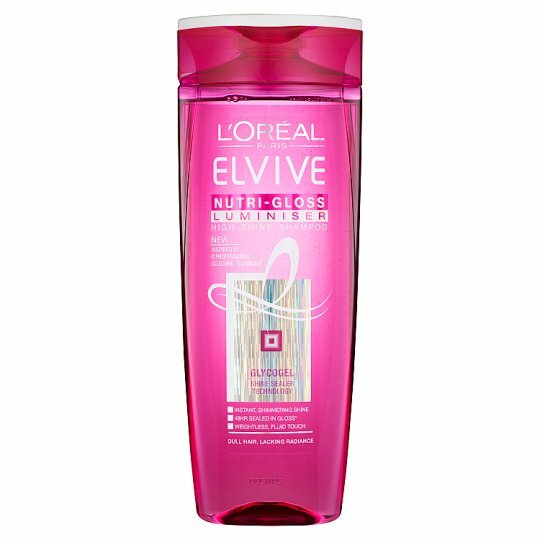 Inspired by this, L'Oréal Paris laboratories have created our first haircare range enriched with Glycogel, a glossing polish. Hair looks illuminated, with 48hr* sealed in shine. Resurfaces the fibres: Helps to clear the fibres of impurities that disrupt light reflection. The fibres appear as if resurfaced and cuticles appear realigned, for silky smooth hair that feels deeply moisturised. Seals in shine: Helps seal the cuticles and coat the hair with a weightless gloss to intensify shine. *Consumer test using Nutri-Gloss Luminiser shampoo, conditioner + gloss. Directions: Apply onto wet hair, lather then rinse. Follow with Nutri-Gloss Luminiser conditioner. To take shine to the next level, use Nutri-Gloss Luminiser Extraordinary Gloss.